The last top on our tour is the shipping department. Here, fully completed products are palletized according to your specifications, and then shipped using the carrier of your choice. 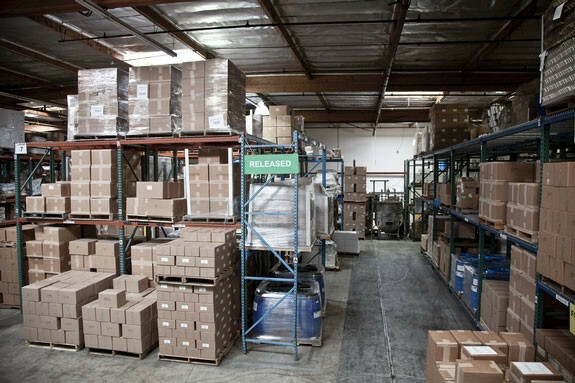 All finished products are sent to the Shipping Department where the products are Palletized and then Shrunk Wrap. The products will wait in the Finished Product Quarantine while they await final testing results. At that time, the Finished Products are then moved to the Released Area to await pick-up.